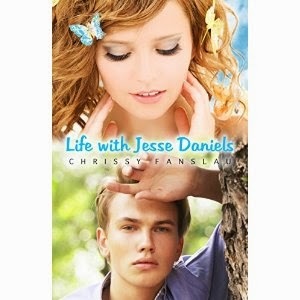 “Life with Jesse Daniels,” by Chrissy Fanslau, is a contemporary romance novel that follows Anna Devlin during the end of her school year up until the end of summer. Anna is dating the handsome Derek Daniels, but secretly, she is crazy for her Derek’s brother, Jesse. In the midst of the end-of-year events, from prom to parties at the beach, Anna must make major decisions about her future. When tragedy strikes, Anna’s world is completely turned upside down. At its heart, I’d say this is a coming-of-age love story. The reader reads about Anna facing difficult decisions during an extremely emotional part of her life. The plot is unpredictable, making for an interesting engaging story. One of the highlights of the book is the strong cast of characters. Fanslau develops them thoroughly, and I felt invested in them as I read about their triumphs, shortcomings, and growth. There are also some humorous parts; my favorite being when Jesse fakes a lake monster with a scuba suit and elaborate prop, scaring Anna to death. I'd recommend this book to anyone looking for a contemporary romance set during/immediately after high school.